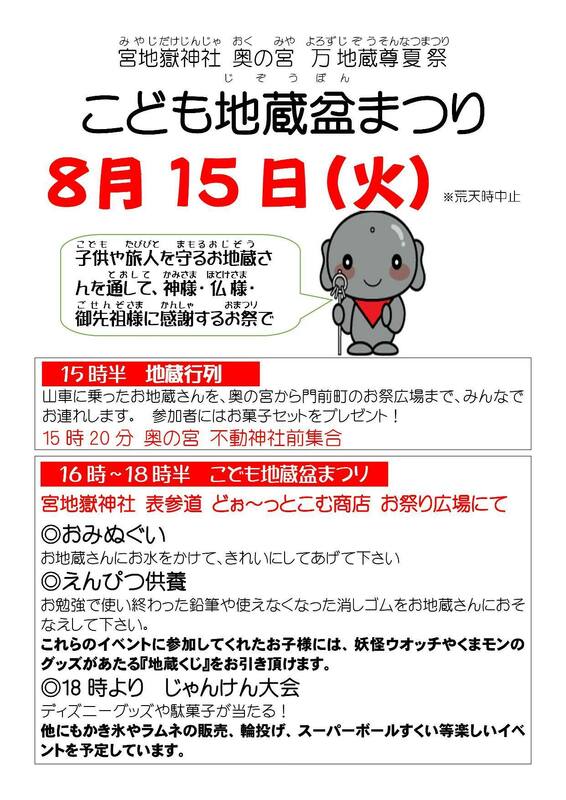 The ‘Chidrens’ Jizo Bon Festival’ will be held on Tue. August 15. 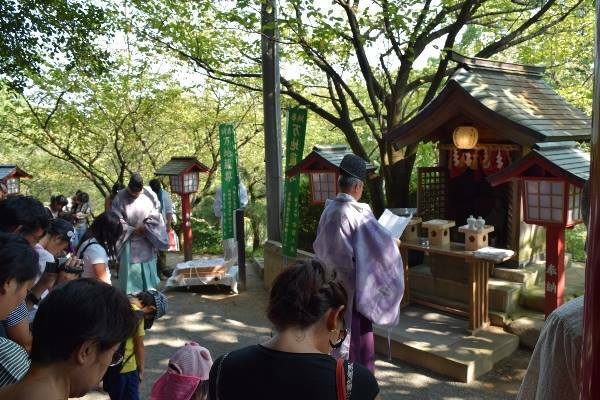 This festival is for thanking the Jizo watching over our children. 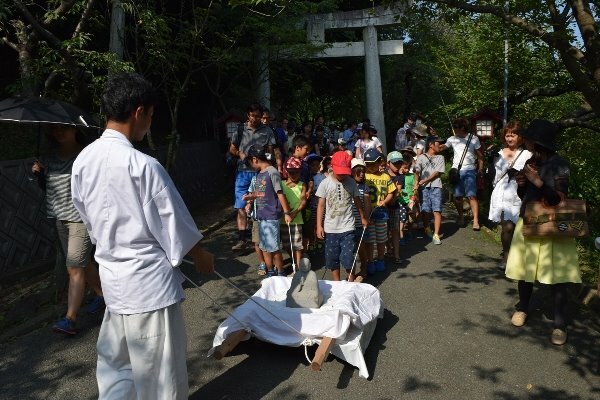 The children will take the Jizo to the festival area. 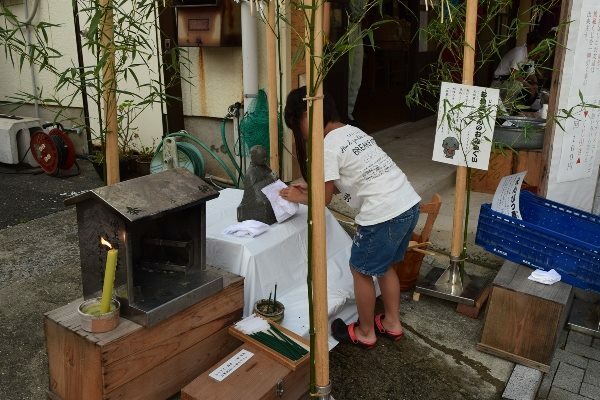 We will have many events such as Jizo cleanzing, pencil memorial, ring toss, and so on. This picture was taken last year.